Parallel Processing – We can run multiple robots on a single server. Our robots get more work done in less time. Often 50% more work is done in 25% or less time compared to established vendors. Cost Effective – Save 60% to 80% on your RPA licensing cost and up to 90% of your server cost. For the same flows, no matter how complex or demanding they are. Capacity Effective – Our approach requires 1/10 of server capacity compared to established vendors. Dynamic Notifications – Get notifications immediately when there is an exception or error, and also when a threshold is reached (e.g. after processing 10,000 records) via a text message or email. Exceptional Reporting – Real-time dashboarding, insights, and visibility. Decreasing the waiting time for the UI by avoiding arbitrary time waste. Running several robots on a single server. The process of opening the new retirement plans for enterprises. Our AI-learning algorithm achieved 99% success of data matching, decreasing all required manual work to an absolute minimum. The existing solution, although from an established leading vendor, could not process more than incoming 2,000 text messages per day and act on them. Specifically, after reaching the threshold of 2,000 text messages received, the solution started to behave unpredictably. 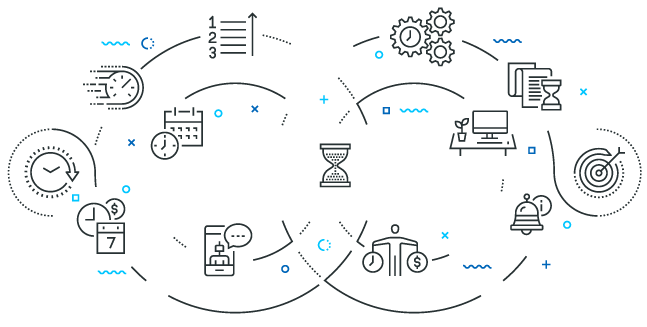 By providing Continuous Software’s RPA solution, there is 3,000+ messages processed per day, with a bandwidth of scaling to 10,000 without any substantial investment. Long processing time address by Dynamic parametrisation – Some RPA solution requires extra waiting time for web/applications to load first before the screen interaction can happen. Dynamic parametrisation enables our solution to trigger an action immediately when it can take place, enabling a dramatic increase in the speed of the automation. Slowliness of web-based apps’ address by Bespoke technology – We can access the web-based application without loading the full browser. Which enables us to execute web pages much faster and with less capacity required. The approach leads yet again to a dramatic increase in performance and reduction in server capacity required by our robots. Technology limitations addressed by Bespoke approach – Our technology has no arbitrary limits. For example, our robots are not limited to functions they can use while manipulating data in MS Excel spreadsheets. High server cost addressed by Parallel Processing – Our robots often require only 10% of previous RPA solution capacity and run faster processing the same load. High licensing cost addressed by Friendly Pricing – Our robots cost less than 20% of traditional vendors’ licensing cost.